Extreme Shepherding: The most incredible sheep herding in the world! Celebration Of Breed Specific Yarns & Fibers! Northeast Fiber Arts Center in Williston, VT will be hosting a Celebration of Breed Specific Yarns & Fibers at their center on Route 2 in the village of Williston on Saturday, January 12th, 1- 3 p.m. 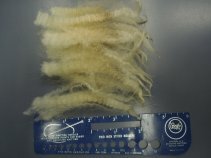 There is a growing interest in single-breed yarns and Stark Hollow Farm's Icelandic wool will be featured prominently in the this hand's on exploration of the unique qualities of the fiber that is available from the diversity of local breeds here in Vermont. There will be a presentation introducing the farms and some of the individual sheep that the fiber comes from as well as the history of some of the breeds. There will be an opportunity to handle the product and knit some of the yarns during a "fiber tasting" session following the presentation. 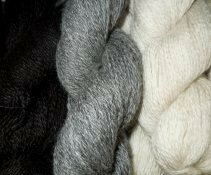 Purchase one of Northeast Fiber Arts Center's white local Vermont yarns or fibers at this event and bring it back (all spun up or felted, if you got fiber) and they'll have some dyepots going for you on January 26th so you can custom dye your project! This is a great opportunity to learn about the specific breeds of sheep, their wool characteristics, the farms that they were raised on and the interesting history of sheep in Vermont! Folks in the communities of Jericho, Richmond, Jonesville, Huntington, Westford, eastern part of the town of Essex, did you know that you can one-stop shop local farmers and artisans on the Jericho-Underhill Your Farm Stand? You can find our delicious meat products available there for order along with wonderful locally grown vegetables, artisan cheeses, soaps and lotions and other wonder art and gift items. This is a weekly market with two convenient local pick up locations. Please support this wonderful new addition to our community. It is volunteer run and brings the whole idea of the CSA to a new level. We need your support today to make this market a viable and successful option for those who appreciate "zero mile" foods and the care that your local farmers and artisans take in bringing their products to market. Enter the market through this site: http://www.underhill-jericho.com/. Place your order by midnight on Wednesdays for delivery on Thursdays. 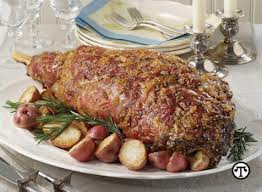 A leg of lamb would be perfect for the holidays!